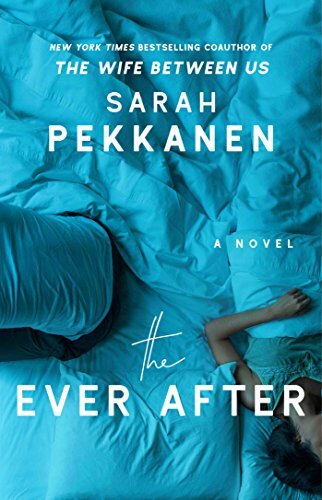 Fresh off her bestselling hit (with Greer Hendricks) THE WIFE BETWEEN US, Sarah Pekkanen deftly explores a marriage in crisis in her new novel, THE EVER AFTER. I’m so excited to talk to her about the book, and stay tuned, because next week, I’ll be sharing a sneak peek of it on my USA Today column! Meanwhile, read more about the story below, which is perfect for fans of Liane Moriarty and Lisa Jewell. Vilma: Tell us about the inspiration behind your new novel, The Ever After. Sarah: The Ever After was inspired by a conversation I overheard at a local coffee shop. I wasn’t intentionally eavesdropping, but it was late morning and the diner was quiet and two women sitting close to me were loudly discussing the plight of a mutual friend. I couldn’t help but get sucked into the story – and I knew I had to find a way to work it into a novel. Of course, my book is pure fiction, but the grains of the novel were planted on that morning. Vilma: With The Perfect Neighbors, for example, you explored how well we really know our neighbors, our community. With The Ever After, you introduce us to Josie and Frank Moore. What did you set out to explore in this narrative, through their relationship? 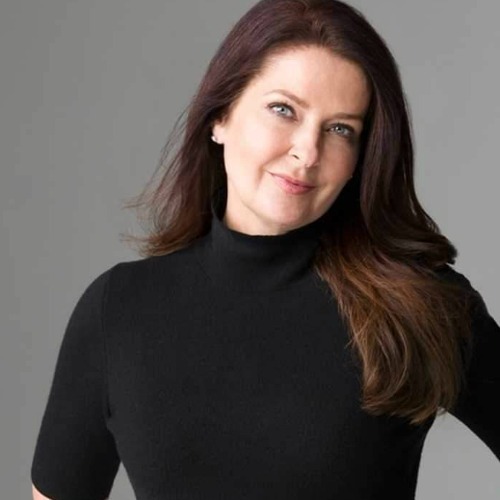 Sarah: In all of my novels, I explore the complex relationships in a woman’s life – be it with her spouse, her sister, or her in-laws. In this particular book, I wanted to explore what happens to a couple teetering on the brink of a crisis that could destroy them, and take a look back at pivotal moments that shaped their marriage and led them to the precipice. Vilma: Can you tell us a little bit about Josie and Frank? Sarah: Josie and Frank are like a lot of parents I know – they’re overwhelmed, they’re doing their best, they love each other, they bicker too much, and they make mistakes. They aren’t perfect, but I hope they’re relatable, and while readers may not identify with the same challenges faced by Josie and Frank, I bet they’ll recognize some of the dynamics in the marriage. Vilma: Because we’re dealing with the very real and raw complexities of a marriage that’s begun to fray, will we see a heavier emotional slant with The Ever After? Or what can readers expect? Sarah: I’ve heard from many early readers that they whipped through the book in one sitting. A few said it reminded them of the nonfiction book by Isabelle Gillies It Happens Every Day. It’s definitely an emotional book, but I think it’s a book that may spark a lot of conversations, including some that might even strengthen the marriages of readers. Vilma: One of the things I love about your novels is that you draw us into these suspenseful, unraveling, intensifying circumstances, but they always come from this very real place — what seems like an ordinary neighborhood, friendships, families, marriages… these very suburban, relatable starts. It makes the stories not only impactful, but often more unsettling because of it. Is that intentional? What draws you to that dynamic? Sarah: Thank you! It’s definitely my goal to write relatable characters. I want readers to feel like they recognize the women who populated the pages of my novels; that perhaps there is some of them in my characters. Although watching action-hero movies is a fun escape, I’m more drawn to the dramas and adventures of ordinary people, whose lives may be quieter but are no less compelling. Vilma: Coming off of a collaborative project with The Wife Between Us (which you wrote with Greer Hendricks), was it tough to fall back into your individual writing process? Was this a book you struggled with or one that flowed fairly easily? Sarah: This book flowed fairly easily, which was a happy surprise! Every book is unique, but for some reason, this one came fairly quickly and didn’t require a ton of editing. Maybe because I’ve written seven previous solo novels, I was able to fall back into my individual writing process (which involves me going to a coffee shop, often putting on headphones and blasting music, and opening my computer). Vilma: Are you working on your next project yet? What can you share with us? Sarah: Greer and I just finished another collaboration – a psychological thriller called An Anonymous Girl – and I’m about to take off a couple of weeks for the first time in many, many months! Vilma: Do you get to read much these days? Any top reads you want to share? Sarah: One of my all-time favorites is A Man Called Ove, and recently I read and adored Kristin Hannah’s The Great Alone! Vilma: Great picks! I loved them both too! Thanks so much for talking with me, Sarah! So excited to read the book!